Adventure Dog Ranch is devoted to the well being and happiness of your dog! 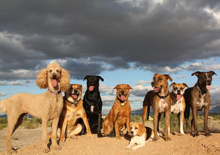 We provide home-style, cage-free, Tucson dog boarding in a safe, secure environment, with supervised hikes and exercise on trails in our expansive fenced acreage, a dog agility playground, beautiful swimming pool and large, shaded veranda. They live and play with us, enjoying fun activities during the day and sleeping in our spacious, custom home on comfortable dog beds at night. 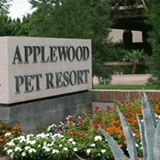 Applewood Pet Resort is Paradise Valley’s best dog, cat, and small animal boarding facility. Our traditional, well maintained kennels and spacious outdoor park-like areas, offer a distinct, natural environment found no where else in Phoenix. We give our clients the highest quality care, patience and love that you would expect from a boarding facility and much more.